A priest convicted of sexual assault is seeking bail following his October arrest on eight new charges involving the alleged sexual abuse of four men. Ron Léger had just been granted day parole when Winnipeg police took him into custody Oct. 19. Léger was sentenced to two years in jail in February 2016 for sexually assaulting three men who were youths at the time the abuse began. The new charges were laid after four more men came forward to police with similar allegations that they were abused after meeting the priest at a youth centre. Léger ran a number of teen drop-in centres from the 1970s to the mid-90s, including Teen Stop Jeunesse and Ron’s Drop-in Centre. 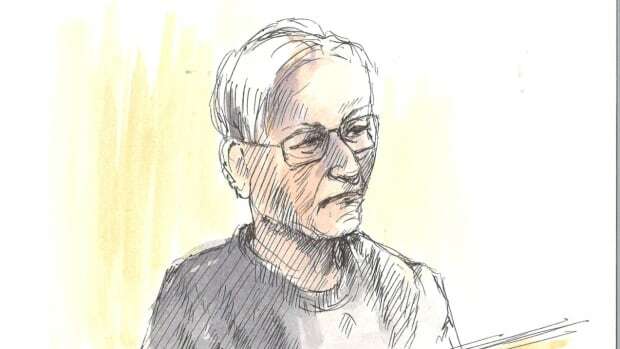 Léger, 78, was escorted into court, his white hair slightly disheveled, and his grey sweat suit hung loosely from his frail form. At the time, he shook his head as he heard some of the Crown’s evidence against him. Crown prosecutor Katie Dojack made a lengthy submission arguing Léger should remain in custody. The details of the submission are protected by a publication ban. Dojack referenced a Supreme Court decision in Ontario which restored a pretrial detention order for the accused in a violent assault case. Saul Simmonds, who represents Léger, argued his client should be granted bail because he would still be on day parole and subject to a number of restrictions. Among other arguments, Simmonds also submitted that Léger’s age should be taken into account. Judge Cynthia Devine reserved her decision. She told the court she would make a ruling in the next two weeks.